By the way.....I emailed the wftv newsroom with the info about the case on DS Sr. Maybe we will learn something there, but I don't have high hopes. I hope LE and CPS are keeping an eagle eye out on Dale Jr's activities and whereabouts. That's the Hoffner bridge. The one Bob Kealing said it was. So, LE will not confirm that this is the bridge.....but WESH is sure quick to let everyone know that "They are the FIRST" with these stories. I sure hope BK is right and doesn't make them all look like fools. These images are from the above video. 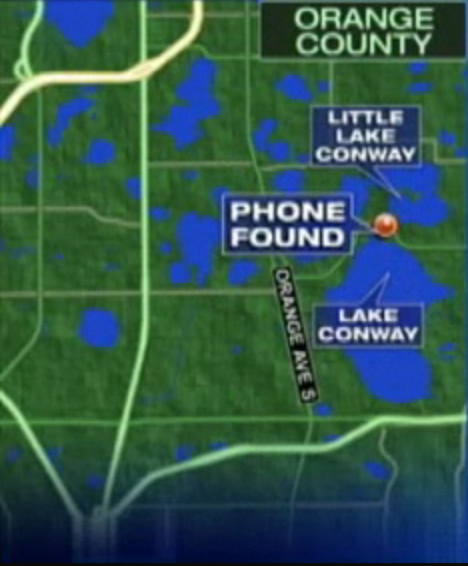 Note: the bridge Bianca mentioned does not connect Little Lake Conway with Lake Conway, as was reported where her phone was found. I believe Bob Kealing is correct. The Hoffner bridge. 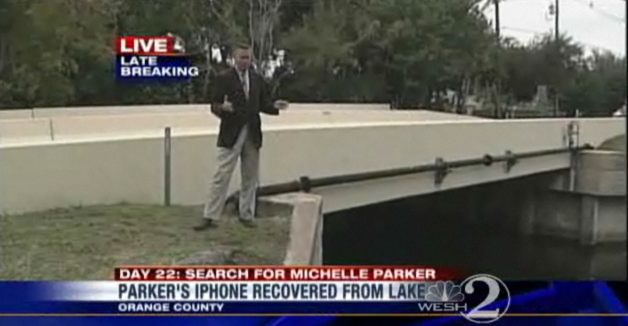 He said in this report that the phone was found in the weedline of the water. Another court document on Dale Sr. found. You may have to go to JQ to be able to open up the file. Which makes sense for dirt being on the phone. Aren't there any cameras on these bridges? Thank you Brandi! So there's a little bit of new info there, phone found in the weedline? @Ilene2424 The attorneys for Dale Smith and Parker's family are working on a custody agreement. That is per her fam's lawyer. Also on this site, go back one page (pg. 38), and you will see a tweet from Red Huber and a photo of the other bridge. Florida traffic camera site. Work is calling my name, I will check it out later. T.Y. Monkey's for the updates. Brandi, here's some info on Hoffner Bridge with a good map pic too. I just broke my phone casing & I'm actually surprised it still working bc the back is completely shattered. I was popping the case back on after cleaning my phone & dropped it on my front steps darnit. Now it's like holding shards of glass if the case isn't on it! Thanks, seahorse. I live in FL., but not near any bridges. I always picture the Throggs Neck and Whitestone Bridges and try to remember if there were cameras on them. Page created in 6.136 seconds with 20 queries.